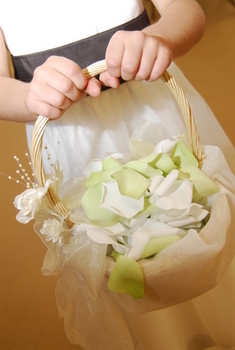 Description:A small basket decorated with fabric and a touch of flowers on one side. It includes 200 petals. Colours can be chosen.